Here is a vintage 1960’s OMEGA SEAMASTER DE VILLE AUTOMATIC. The case measures 34.5mm. across of shimmering stainless steel The crown is the original and correct. 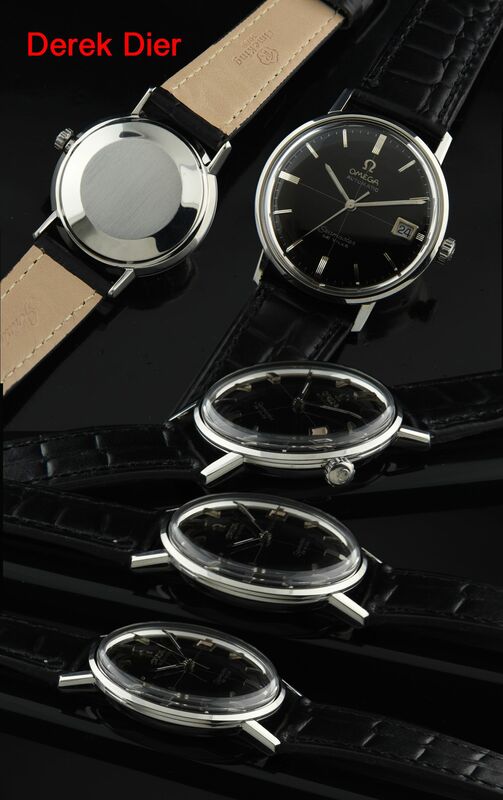 The movement is the VERY high quality original OMEGA rotor automatic-cleaned, overhauled and accurate. The restored black dial is identical to the watch we provided to Mad Men seasons 5, 6 & 7 as worn by Jon Hamm. This dial and original steel markers and hands is pristine except for 2 tiny dings in the dial in the letter “D” and “L” which is really only visible with a loupe. The same looking watch has also appeared on the cover of Rolling stone being worn my Hamm. We love these classic vintage De Villes. 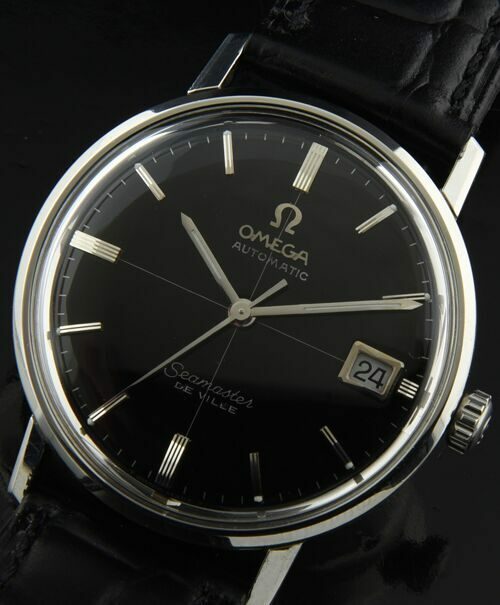 This particular OMEGA watch has become highly sought after due to their classic and sleek appearance and have been steadily increasing in value as of late.